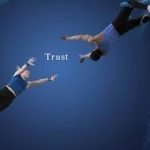 Trust is also a two way street and not only does the client have to trust the hypnotherapist, but the hypnotherapist has to trust the client. In other words the hypnotherapist has to trust that the client will obey all suggestions. With hypnotherapy the hypnotherapist works hard at establishing trust as at the heart of hypnotherapy is the statement, “accept all my suggestions 100% with no questions asked’. If that’s not trusting someone then nothing is. On the other side of the coin the hypnotherapist is also unconsciously and consciously seeing if he or she can trust the client. The trust here is will be, does the client want to and are they willing to listen and obey suggestions. 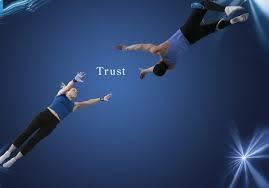 Without trust hypnotherapy will not work. But then again without trust friendships, relationships and many other things do not work. Hypnotherapy can be used for many things, quit smoking, weight loss, pain management, depression, relaxation and many more. If you are interested in using hypnotherapy to help you why not call us on 1300 64 53 54.